Please click on each of the key stages listed opposite for a brief description (below) of the services Jonathan provides. To see how each of these stages could relate to your own project please do not hesitate to contact Jonathan. Gaining a full understanding of the clients’ specific needs and requirements, as early as possible, underpins the whole design and specification process. Through a series of discussions with you, Jonathan will discover the key issues driving the project and tailor his services to help you achieve your aims. If you are not sure of the viability of your project you can instruct Jonathan to produce a desk study to help you make this assessment. This would include giving advice on planning policy and any other constraints. 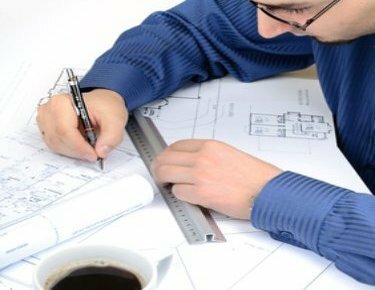 It is also often advantageous to seek more formal pre-planning advice from the local authority planning department prior to making a formal application. This can help to get all of the negotiations out of the way and establish exactly what information will be required by them within the application. This can in turn help to prevent any necessary delay and bring greater certainty in regard to fee costs for this stage as well as hopefully avoid a refusal.